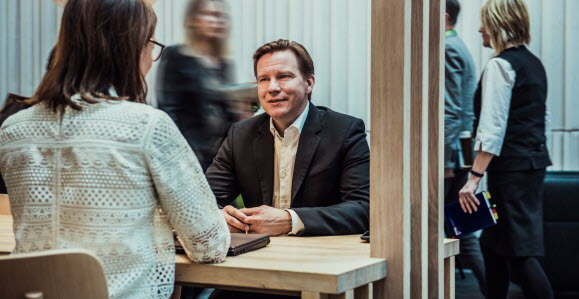 With a unique customer base containing a high concentration of large international corporates and financial institutions with sophisticated needs, SEB enjoys an important position in terms of thought leadership. It means we're well placed to speak on some of the most significant industry issues and every year you'll find us at a number of events as well as on a growing number of internet forums. We've always believed that it is important to share our views and experience with clients. As a result, you'll find an SEB presence at the world's most important financial conferences, such as ICTM and SIBOS, where we share best practice with industry leaders. As our client, we use events such as these to help communicate how we can help keep you ahead of new initiatives, developments and regulatory changes. If no natural meeting place exists to discuss these issues, we will often facilitate meetings to bring clients together to discuss their specific market challenges and bring their thinking into our pool of competence. Who do you know at SEB? Business-orientated social networking site LinkedIn has a strong SEB presence, with more than 500 merchant banking employees already members. The leading site of its kind, it's a useful way of maintaining a list of contact details of people you know and trust in business and is a useful tool to share expertise and knowledge.